Regardless of the niche your blog covers, increasing traffic to your blog is a key way to increase your profits. 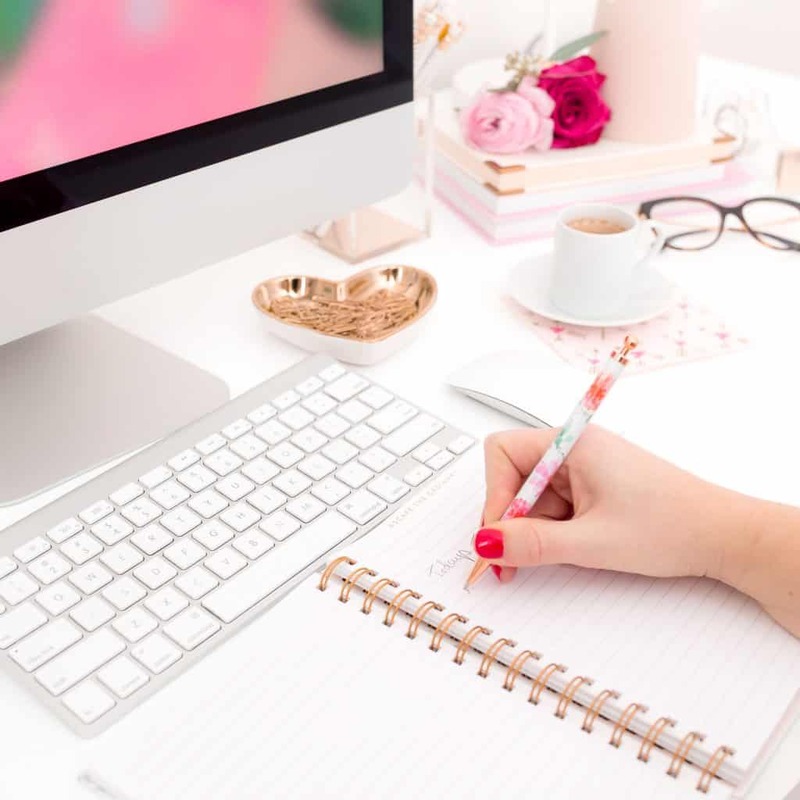 The more visitors you can bring to your blog, the more of your articles they may review, the more advertisements they will click, the more affiliate product offers they will see, and the more opportunity they will have to buy your products. In addition, all of this adds value to your site and makes it more appealing to potential advertisers and sponsors. The problem is everyone on the web wants more traffic, so everyone is competing and fighting for the attention of viewers. The Internet is filled with so many different bloggers, businesses and advertisers all trying to stand out. That can make it very difficult for you to differentiate yourself from others and to get your blog noticed. What dictates the winners and losers can come down to who has the best strategies. 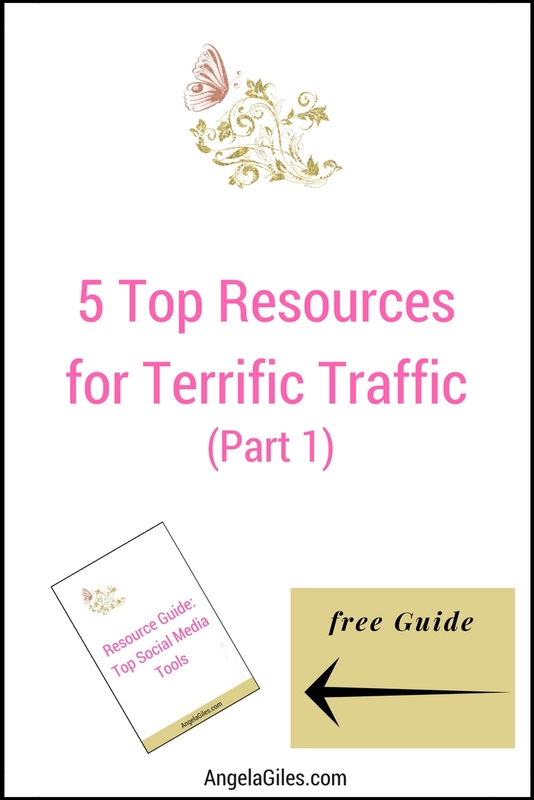 Five of the top major sources for getting traffic to your blog are social media, search engines, Facebook ads, forums and videos. In this series of posts, I talk about those five major sources. I will share some very effective ways to use them to increase the flow of traffic to your blog. For each traffic source, I’ll cover only the most effective and the most valuable techniques. So be sure to bookmark this article to check out future posts to learn valuable information on the other sources as well. By the end of the series of articles, you should have some powerful methods in your pocket for making all of these work for you. Individually, any one of these major sources on their own will unlock a lot more visitors for your blog or business. However, diversity is key. Combined they will represent a cumulative growth that can drive your profits up exponentially. And again, can make your blog more appealing to advertisers and sponsors. You will never run out of new leads, new people to visit your blog or potential new customers if you get traffic from all five separate sources. I have also created a Resource Guide of all kinds of social media tools. It will help you use social media more easily and successfully to get traffic to your blog. Be sure to join my Resource Library below to check it out.Let’s get started with the first major resource – social media. If you are looking to increase the number of regular visitors to your blog, social media is one of the most powerful tools in your arsenal. And there are many things that make social media so useful for increasing traffic, but also for getting you quality traffic. First, of course, is that social media platforms instantly provide a large captive audience. For example, Facebook has more users than most countries have residents. What’s more important though is the way social media leverages social networks to allow content to spread and to go viral. That, of course, will get you traffic. If you share something on Facebook or Twitter, your followers, fans and friends have lots of options for sharing it with their extended network. That creates new traffic for you. And social media is powerful because it allows for communication. This means you not only just share the content you want people to see, you can also comment on it and can add context and discussion to drive even more attention. But how do you take advantage of the many benefits of social media to increase traffic to your blog? And how do you get your account to start growing? One of the best places to start with a social media campaign is with your branding. When you first create your social media accounts, it’s crucial you create a consistent presence with a strong unifying identity. That includes being consistent in the profile image you use. This helps your follows and fans find you across multiple platforms. This is also what helps your social media accounts work together collaboratively with each of your other marketing strategies. Get access to “Resource Guide: Top Social Media Tools” by joining our Free Resource Library, just click below! What does that mean? Essentially it means having a strong logo you can incorporate into your profile images and your cover images. It also means having the same recognizable brand name on every account. And again, when possible, using the same image on your profile. If you are your brand, it should be a professional-looking high-quality image of you. The picture should be only of you and not have you be one of a group of people. If your company is the brand, then consider using your logo instead, or perhaps an image that is a combination of your logo and you. Remember, the more consistent you are graphically and with regards to your message, the more each interaction with one of your accounts will strengthen your visibility. This consistency will also help make your brand appear professional and well thought out. In additional to the visual appeal, this can also impact the trust factor. 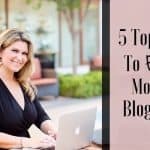 All of these things also help increase traffic to your blog. 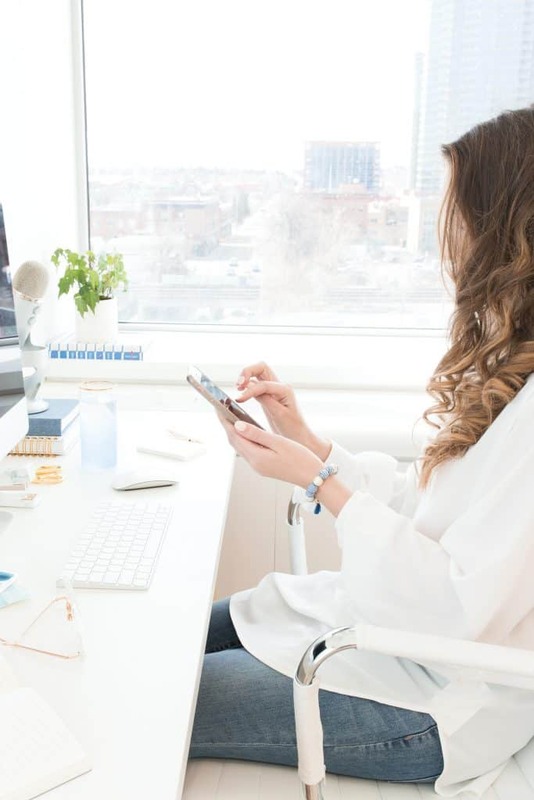 Another thing that helps increase traffic is connecting all of your various social media accounts, your blog and your website. This means adding buttons to make it easy for visitors to start following you on social media. This should include connecting from Facebook, Twitter and perhaps even LinkedIn. It can also include social media sites like Instagram and Pinterest. It all depends on your blog’s niche and which social media sites work best for you. Instead of thinking of your blog and your social media as separate, think of them as interconnected aspects of the same strategy. Social media helps you build relationships and share content which should help increase traffic to your blog. Remember, getting traffic to a blog you own rather than just social media is also key. However, it can be equally important that your blog help to promote and grow your social media. That also increases traffic to your various social media accounts. That way, your social media provides a convenient way for your one-off visitors to stay current with your latest content. It also helps them subscribe without sharing their email address. When they visit your page and see it has the same design as your blog, they’ll be impressed and all the more likely to remember you and look for you in future. Finally, be sure you are on as many relevant social media sites as possible. 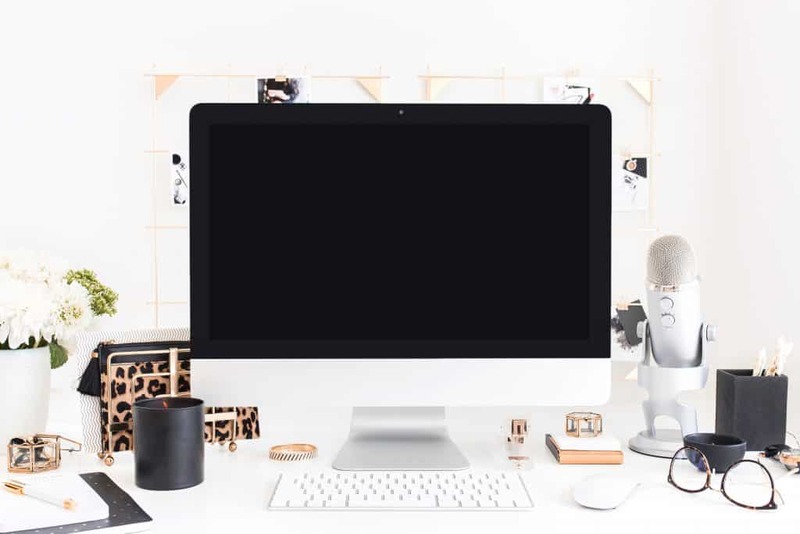 The more sites you are on, the more roads you create to your blog, the more traffic you get and the more future marketing opportunities you create for yourself. There are tools such as BuzzSumo (buzzsumo.com) that provide ways to more easily find content to share on social media to increase your number of followers, subscribers and friends. The way these sites works is pretty simple. They help you find content that is currently doing well on social media, that is within your niche, and then share it as though it were your own. There is no guesswork involved when deciding what to share because you know it already works, and will therefore also increase your traffic. While this can be a good way to keep your social media appearing active, and to encourage some likes and follows, it is much more beneficial to share content you create yourself. Why? You want people creating traffic coming to your blog rather than giving that traffic away to someone else. When someone clicks on a link you share and they get taken to your blog, they stay engaged with your brand. It also creates more opportunities to get them to join your mailing list or to buy from you. Your objective is to get traffic to your blog. So unless it’s something so unique or interesting that it’s worth sending them to someone else’s website, why would you waste even a single click sending your visitors elsewhere? And remember, there are times you can recreate something on your own blog that someone else has done, as long as you give them credit, and preferably include a link to their site as the original source. So your visitor still sees what you want to share with them, and you have still included the original source and given credit to that owner, but the visitor and that traffic comes to your blog instead. One key is to know how to create content that will attract clicks and shares. A lot of people struggle with this, which is often why they rely on third-party content. But if you understand the psychology of liking and sharing content, you can get around this problem and create your own content that will spread like wildfire. When thinking of content that gets clicks and creates a lot of traffic, we can be tempted to think of clickbait. This is content specifically designed to get people to click at all costs. The quality of this type of content is typically very poor because all the creators care about is getting clicks and traffic to their site. However, this strategy is short-sighted other than because of annoying people. People who feel they have been tricked into reading low-quality content will rarely ever share that content, and they will hardly ever go out of their way to visit that website again. Say bye-bye to future traffic. So instead the point is to create content that gets clicked but that actually delivers. This way, people who clicked are more likely to come back to your blog and are more likely to share your content with their networks. This can help create a lot of new traffic for your blog. The link gets clicked because it makes people wonder what the weird trick is (peaks their curiosity). It also makes people believe they’ll be able to lose fat (value proposition). Unfortunately, once you click the link it’s more likely to be nothing but spam. People are getting more and more cynical of this type of strategy now. So now, an article called “How to Lose Weight With Cardio Acceleration” still ticks the same boxes as the clickbait because it has value proposition, offers something new and makes people curious. But unlike clickbait, it actually delivers on its promise with something new and interesting. Therefore, it is a whole lot better than just another article saying “10 Exercises to Flatten Your Abs.” (We’re all incredibly bored with that.) Going this route takes the principles of clickbait but applies them in a far more effective manner. It actually meets your readers’ needs. And meeting the needs of your readers equals more traffic for your blog. Another tip for creating content to better help it get shared is write with a very specific individual in mind. Social media is really all about communication, so this works. When someone sees an article that describes them or applies to them directly, they will often share it as a form of self-expression. Alternatively, if they see an article that applies to someone they know, they’ll want to share it with that person. When you are not sharing content you should be updating your status with comments and thoughts. You can also throw in the occasional image to sell the lifestyle. However, be sure that all of your posts provide value in the form of information, entertainment, inspiration or deals. If all you do is promote your brand, people will get tired of that and leave you. So by now you may be wondering how all of this can help you get more traffic to your blog. All we’ve seen is how to set up a social media profile on multiple accounts and then share good content on it. So just where are those new visitors coming from? While it may seem a little circular, repeating the process over and over can actually help you to slowly build and gain momentum, and to build more and more visitors. It works a little like this…. First time visitor comes to your blog. First time visitor joins your social media and becomes a follower. That follower sees an engaging article you posted on Facebook. Follower clicks to return to your blog. Follower shares your content, creating a new first-time visitor. If you multiply that by the various social media accounts you have, suddenly you have a self-perpetuating cycle that is regularly bringing in more and more traffic to your blog. Top Tip: Share your content in specific communities (think Facebook Pages and G+ communities) so you reach specific niches applicable to you. 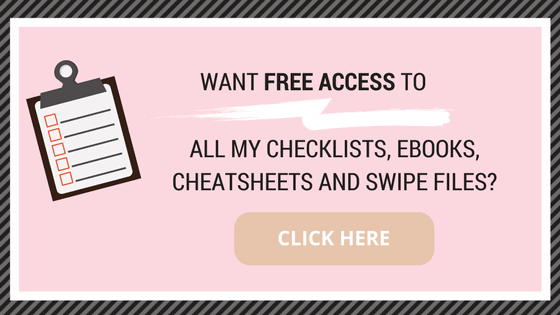 Use this to target people who are more likely be interested in your blog who aren’t already followers and you can also use it to cross-pollinate. For example, if you have a martial arts blog, writing about free running training specifically for martial artists and posting in a free running community is a great way to reach a wider audience. There are some great tools that can help you get even more from social media. For some of them it helps to be a little more tech savvy than others. Additionally, many of these tools and others like them are free. One such tool is IFTTT (IFTTT.com), which is free and stands for “If This, Then That.” IFTTT allows you to link your various social media accounts. That means posting to Facebook also automatically posts to Twitter, Pinterest, etc. You can also set up more complex relationships. For example, have only certain types of content shared in certain places. You can also have IFTTT do advanced things, like read from spreadsheets or auto-share content curated from the web by algorithms. Another tool relating to IFTTT is Apilio (apilio.io), which touts itself as giving superpowers to IFTTT. So instead of just “If this, then that” you can actually have “If this and this and this, then that and that.” I recommend you first get comfortable with IFTTT first and then add Apilio to your arsenal. If you need something a bit simpler, other tools can do similar things. Buffer (Buffer.com) is one example, which links accounts and also lets you schedule your posts. You can write all of your Tweets in just one day yet have them published on a regular basis at specific times. HootSuite (HootSuite.com) is another popular tool offering those same functions. It also lets you see feeds from multiple social media accounts. These tools are highly useful because they save you time. And equally important is they also help your social media accounts continue to look active. Having an active account is very important. And having a really quiet social media account can be worse than not having one at all. So be sure the content you’re sharing automatically is still high-quality. Another helpful and popular tool is ShareAHolic (shareaholic.com). It lets your visitors easily share your content on their social media accounts. When wanting others to share your content, it really helps to make it easy for them. I have also created a Resource Guide of all kinds of social media tools. It will help you use social media more easily and successfully to get traffic to your blog. Be sure to join my Resource Library below to check it out. Well, that’s a wrap for the first part of this training series. Be sure to bookmark this post! Then stay tuned for future posts on the four other major resources… search engines, Facebook ads, forums and videos. PLEASE SHARE YOUR THOUGHTS IN THE COMMENTS SECTION BELOW, INCLUDING ON CLICKBAIT! AND TELL US SOME OF YOUR FAVORITE SOCIAL MEDIA TOOLS. You’ve laid out truly essential tools and tips for bringing in traffic to your blog. As a newer blogger, I like to know the latest trends, websites and tips that can help me grow on the web. Your article affirms that I’m moving in the right direction but also gives me some pointers such as clickbait and considering this with the headlines of my posts. I agree that quality content should be the focus of bloggers instead of just trying to trick people. Great post! Love your blog! Thank you for this and you are so right about clickbait, so annoying. These are some great resources and I’m glad I’m using most of them. Social media is a big one for me. These are really helpful tips. Social Media is huge when it comes to getting your content in front of others! Thank you for the tips. but more or less even if you have the right tools and the know how it is difficult for everyone at the starting point! As a new blogger, I can’t stress enough how important branding really is. You did a good job touching on it! These are amazing tips! Love when bloggers share their knowledge! I think that’s so important that you share the original authors info when sharing or even recreating on your own blog. I have seen time and time again people directly copy others without giving them an ounce of credit. 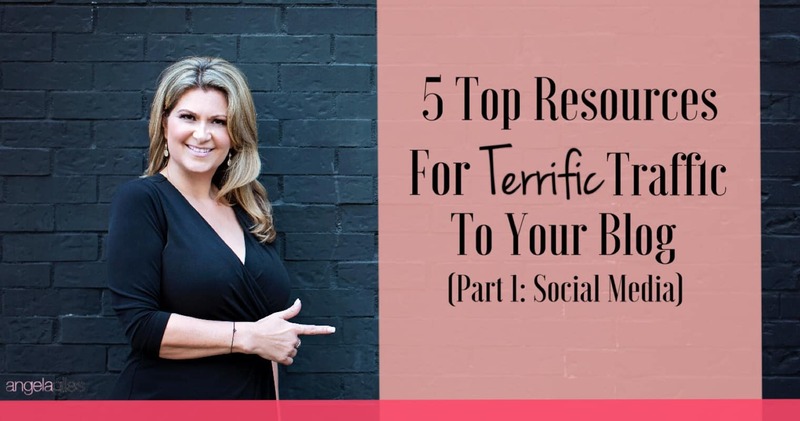 These are some great tips, I have to admit I really need to get better at sharing across social media and making sure I do it regularly as I am so sporadic! These are some pretty cool tools. Some charge, but i did at least get to check all of them out. I definitely will put them to good use. I really enjoyed reading these tips! I have struggled with getting traffic to my site, and I’ve often wondered what I’ve been doing wrong. Thanks for introducing me to BuzzSumo, and for helping me to understand best practices for social media. It’s really hard to build up some steady traffic – social media is awesome but it’s so up and down. Great job with these tips! I am totally checking out BuzzSumo! I have been wanting to increase traffic to my blog so this is perfect! I like how it tells you what is popular at the moment! Love it! These are grest tips. I am definitely going to take your advice. I am a new blogger and this post is very helpful for people like us. Thanks for sharing all these. 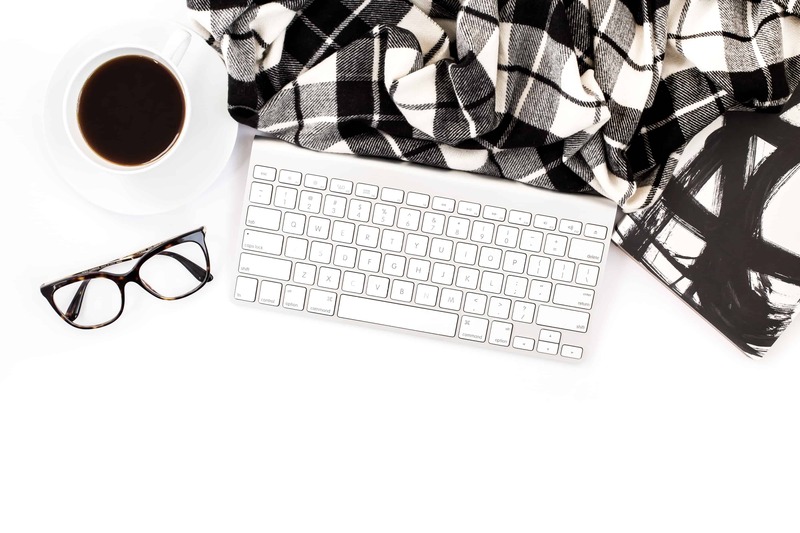 This is great read for any blogger. 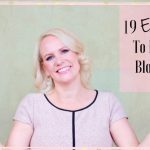 Getting traffic to grow your blog business is every bloggers dream! This is some fantastic advice for me as a new blogger. Thank you so much. These are awesome resources that i’vr been using except the clickbaiting. I dont do that coz Google penalize it. And clickbaits annoys readers. I have just started to build my social media presence and are still looking for new tools to help me automate my sharing. It’s also great to learn from this list of tips too. I think I don’t share enough. I am going to try and do more of it. Its so great to see tips like these. Click baits are really annoying. Coz I experienced it one time, clicking this travel guide post, but the link went to a different article, like a real estate article. This is seriously so helpful! I can’t wait to put some of these in place.